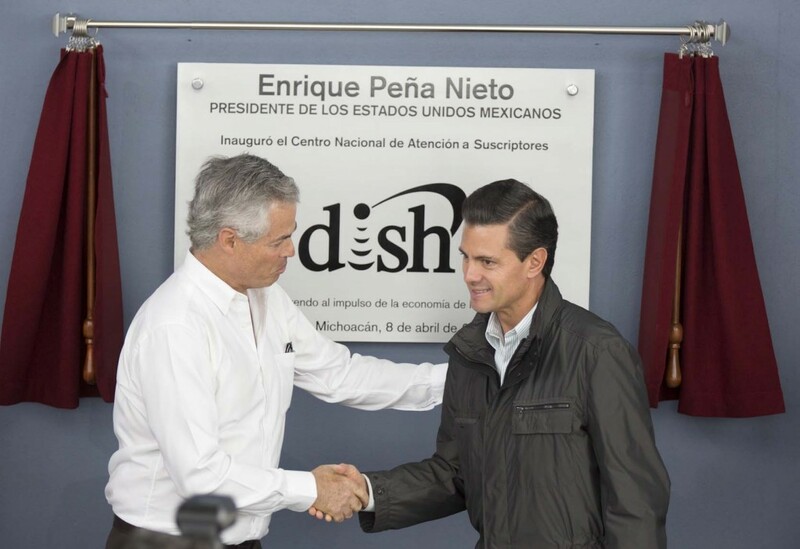 On Monday, July 14, President Enrique Peña Nieto (EPN) signed the much-delayed telecom reform into law (full text of the reform here, in Spanish). EPN’s administration is fond of using infographics to communicate, and the telecom reform was no exception. The first of these infographics explained the ABCs of the reform: Assuring universal access to television, voice, and data throughout the country; Buenos precios (good prices); and Calidad de servicio y contenido (quality of service and content). Data retention – telecom operators must retain user data for 24 months, including name, communication type, origin and destination of communication, date, geographic location, etc. Dominators – the law permits one dominant player in broadcast and another in telecom (i.e., cannot be the same firm). The elimination of content blocking on ‘national security’ grounds was a major victory for civil society groups, but even more impressive are the final law’s provisions on net neutrality. Previously, the proposed reform allowed for content-based ‘fast lanes’ on the internet, which could allow service providers to ‘prioritize’ content for reasons contrary to their users’ interests (e.g., speeding up sites of affiliates or companies that purchase marketing packages). Mexican civil society organizations flooded the Mexican Senate with letters opposing the ‘closed internet’ provisions in the former draft of the reform. The result of this effort is Chapter VI (Articles 145-146) of the final law, which explicitly addresses net neutrality. In short, this section clearly prohibits service providers from content-based ‘filtering’. It does, however, permit providers to take measures to administer their network traffic, but these measures will need to comply with ‘authorized policies’ of IFETEL and can only be aimed at ensuring the quality or speed of service for the user. Also, Art. 146 makes clear that providers are allowed to offer users different tiers of internet speeds (e.g., pay more for higher speeds), but these offers may not be content-based. The provisions on monitoring and data retention were fought by civil society and privacy advocates, but ultimately remained in the final law. These organizations are now calling on the Federal Institute on Access to Information and Data Protection (IFAI) to intervene and challenge the monitoring and data retention provisions in court. Data necessary to identify the date, time, and duration of communication, messaging, data transfer, etc. It is hard to imagine that any provider will be able to just manually drop all these data points into an Excel spreadsheet, and thus a semi- or fully automated system is necessary. Perhaps most service providers already collect this data and it’s just a matter of reorganizing it. More likely, it is going to be a big financial and logistical mess for them. Also concerning is the retention obligation’s duration, which at 730 days is quite long and similar to the highly-controversial European Union Data Retention Directive (DRD), which the European Court of Justice overturned in April precisely because of the long retention period. In contrast, U.S. law only requires 180 days of retention, and only upon government request (i.e., no default duty to retain). The volume and duration of data retained, plus the urgency with which providers must respond to government requests, make it more concerning that the final law does not contain any judicial procedures for challenging government requests and no notification provisions for users. It will be interesting to see how IFAI reacts to the retention/cooperation provisions. The telecom reform – like much of Pacto por México – is intended to stimulate foreign direct investment into industries that have been lagging behind due to insufficient competition and underdeveloped infrastructure. Although the oil industry is unique, all Mexicans with whom I speak perceive the quality and speed of telecom services up in the United States as better than those in Mexico and at a fraction of the cost. One example: I purchased a simple local cell phone and a pay-as-you-go SIM card – nobody but family members know my number, and yet I receive around 10-15 unsolicited texts per day offering services I don’t want (even if I did want them, the text tells me to click ‘OK’ to purchase, but this is impossible because there’s no account to be charged on a prepaid plan). I am hopeful that harassing texts will be included in the prohibition on unwanted marketing by providers. The reform is also significant because it is already proving effective at breaking up one of the biggest market players, which is arguably responsible for the lack of competition over price and quality. No U.S. or European company is interested in entering a market with such stacked odds – but the telecom reform appears to be leveling the playing field. The Most Controversial Issues Addressed in the Law (Animal Politico) – gives a nice, brief summary of each hot button issue, like net neutrality, data retention, content blocking, etc.